"Well I'm not quite sure what you're supposed to call it," he admits. "I've been resisting calling it a collection of short stories because sometimes novelists do publish collections of short stories, and they're basically a rag bag of stories they've had sitting around for the last 30 years. Whereas this book I actually sat down and wrote from start to finish. Yes, true, from the author interviews on the Short Review, only a few authors seem to have done it this way, having a collection in mind and writing it. "I don't know what proper short story writers would think of this, but I've gone about this in the way a novelist would. I don't claim to be a short story writer, and I have no idea if I'm doing it properly; I'm just writing this almost like a novelist. It sounds very pretentious, but you know some music forms, like sonatas, you get five what seem like totally separate pieces of music but they go together." So it definitely isn't a novel? "No, it isn't a novel. I didn't want the stories to interweave as they would in a novel. So yes, they're short stories. But I've always said I don't want them published separately, I don't want them split up. I think that's a bit unreasonable of me because they would probably work alone, but I personally always thought of them as a single book. It's just a fictional book that happens to be divided into these five movements." He pauses for a moment to reconsider, and smiles apologetically. "I don't like these musical analogies, because it sounds wildly pretentious. Maybe it's better to say it's more like an album, and you don't sometimes want a track released as a single." 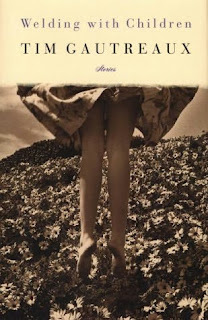 Food for thought - when is a set of short stories not a short story collection? Is Elizabeth Strout's Olive Kittredge, recent winner of the Pullitzer for Fiction, a short story collection or a novel-in-stories, and what exactly is a novel-in-stories but a short story collection? For me, the criteria is this: could you read just one and be satisfied, not have that bemused feeling when you turn the page and discover the story has ended? Does each story stand alone? Of course, this throws up the next dilemma: if they don't stand alone then are they, actually, chapters? Perhaps not the orthodox definition of chapters, but I for one, as I struggle with the idea of a Longer Thing that seems not to be a traditional novel yet is not a short story collection, like the idea of the semi-stand-alone-chapter-entity. A catchier name is needed, yes, but perhaps there should be a new definition. Not to divide; just to clarify. So that Ishiguru doesn't have to explain and defend. "Well it's certainly a much smaller market, there's no doubt about it. I did ask people beforehand - because I was curious, I wanted to know, in a slightly mercenary way. I said what is the short story market compared to the novel market? And in America I was told it's between a third to a half of what I would sell as a novelist. Here in this country more like a quarter." And that didn't put him off? "Well no, because I've always wanted to have a short story collection." "I've always wanted to have a short story collection". Well said, Mr Ishiguru. Now you do. Read the full interview. OK, this hasn't got much to do with the writing life - but I just watched Say Anything, that superb John Cusack film from 1989, and well the years have not diminished its greatness. What I noticed this time around was that while in some ways it's the traditional guy-meets-girl-loses-girl-gets-girl, there is something non-traditional and very real about it that makes it so watchable. The dialogue is fantastic, nothing happens quite in the way you think it will. This is apart from JC himself, of course. Or entirely because of him. Yes, this is just me trying to justify watching a John Cusack film on faux-writerly grounds! I'll stop now. Back to the writing life, I am delighted to report that after many, many rejections I have finally succeeded in gaining acceptance into Elimae, a wonderful ELectronic LIterary MAgazine (hence the name). My very short piece, which editor Coop Renner called "almost a poem" will be in the May issue. I seem to be writing quite a lot of "almost poems", and enjoying the process. It doesn't matter what's it's called, what shelf it fits on, does it? My psychologically-helpful Progress Bar to the right is rather static, but that's ok too. No rush. Quantity is not my driving force. I'm enjoying myself. Have a great rest of your weekend. In Memoriam: The Short Review is deeply saddened by the death of J G Ballard, the author of 22 short story collections and 19 novels. 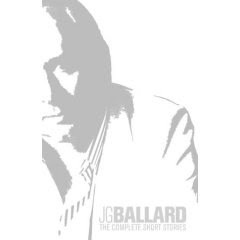 For a taste of Ballardian wonders, read our review of the The Complete Short Stories. Congratulations! To Elizabeth Strout, winner of this year's Pullitzer Prize for Fiction for Olive Kittredge, a collection of interlinked short stories. We bring you reviews of ten more this month, from Babylon to big worlds, creatures of the earth, eclipses and unlucky lucky days which are nothing like an ocean, to last night, where our story begins, with a little Javanese and some gay romance. I emigrated to Israel from England in 1994. I was 24, had just finished university (including two graduate degrees). I wasn't someone who had grown up in a Jewish family that was very attached to Israel; we were secular, not that interested. But I came here during the summer of 1993 and knew when I touched down that I wanted to move here. It felt like a kind of calling, a gut feeling. Why? I couldn't have told you at the time, couldn't have explained it. But looking back, I was searching for something, a sense of community, a belonging that I didn't feel in London. And I found it here. For years I was thrilled every morning waking up in Jerusalem. I learned the language quickly, I found work as a science and technology journalist, and I loved my job. I went around the country and interviewed entrepreneurs who had set up little technology start-ups, amazing technologies, excited interviewees who were delighted to speak to me. It was fun! And I was good at it, I loved being freelance, I learned how to make contacts, to get my articles in magazines around the world. But. But. After a few years that little nagging voice in my head: what about short stories? what about fiction? And slowly I started getting back to it, including a nine-month stint in England to do an MA in Creative Writing which turned me from wannabe writer into pretty-serious-about-this writer. For a long time I tried to do both: journalism and short stories. But then, a week-long Arvon short story course in England with one of my favourite writers, and she says what you always hope an idol will say: You can do this. You're a writer. Give up journalism and do this full time. Scary. I was terrified. Stepping off into the abyss. It took a year, and then I did it. A few months later (very very quickly!) Salt offered to publish The White Road and Other Stories, and things have never been the same since. What I realised yesterday was that when I stopped being a journalist, I started withdrawing from the society around me. There was no more reason professionally for me to be "out there", no-one to meet in order to write fiction. It is just me, in my little room. And as I withdrew from society, as this major shift occurred, my "absorption", the word Israelis use for the process a new immigrant goes through, has been slowly reversing. Until the point where I am sitting in a cafe, 15 years later, and I am unsure of my Hebrew. I was fluent. I was totally happy in the language. I felt Israeli. Now I sit here, surrounded by Hebrew-speakers and I feel different. I feel other. I don't feel like I fit in anymore. I feel like I have re-Britishized myself. After years of trying desperately to be as Israeli as I could - I'm English again. All that effort: gone. And this is a condition particular to someone in a situation like mine: writing in English in a non-English speaking country, without a community of fellow English-speaking authors around me. Hence: immigrant writer's identity crisis. No wonder I have been anxious. When they say "crisis", it really can be a crisis. Realising what was happening makes me terribly sad. I so wanted to be here, to be part of this society. But something stronger was at work. And I can't write in Hebrew. That's not who I am. I don't believe that this is the writer's lot wherever she or he is. If I was in an English-speaking country, I would be "out" as a writer as well as "in". I would be out at readings, out teaching fiction, out meeting other writers, others doing what I do. How ironic that coming here in a search for community has led me, 15 years later, almost right back to where I started, culturally-speaking. I am certainly not going backwards, I am in an entirely different place personally, professionally, in all respects. But I feel as though I have passed through something and have come out the other end and I am not where I expected to be. For an author, getting reviewed is not something to be taken for granted. Perhaps if you are published by a big-name publisher and have a great agent - but even then, review space is tight. If you write short stories, if you're published by a small press, unless you do the legwork you may not be reviewed at all, one of the reasons I set up The Short Review. So I am always thrilled when someone chooses to review my book, as Matt Bell and Sally Zigmond have done in the past two weeks. I know how much time it takes to read a book, think about it and then formulate your thoughts into something coherent, so the least I can do is give them a shout here. "it's in the longer stories that Hershman's very fine gifts as a storyteller are most obvious. There are certainly exceptions to this observation--one of the strongest stories in the collection is the two-page "Exchange Rate," about a woman only a few pounds of flesh away from what she wants most--but too often the shorter pieces felt like they lacked the length to consistently rise about the admitted cleverness of their concepts." "As I now read more novels than short stories, I had expected to prefer the longer stories in this collection to the flash fiction (as some reviewers have) but to me the longer ones were either too long or too short--not quite right for this Goldilocks. The flash fiction, on the other hand, I loved for its brevity, its inventiveness and its poetic quality." Nothing could be greater for a short story writer, in my opinion, than reviewers who disagree. If everyone agreed that they liked some stories and others were, well... not enjoyable... then a writer might start trying to change what they write based on this, which is dangerous. If everyone finds something they respond to, and each responds to something different, this is exactly as it should be. Of course, I musn't, as I have been cautioned, take reviews with more than a few pinches of salt. And the more there are, the easier that is to do. Also, the more I am immersed in current projects, the easier it is to simply appreciate the fact of being reviewed and be grateful. So thank you, Matt (whose own collection, How The Broken Lead the Blind, has just begun shipping) and Sally, both of whom regularly review books. We greatly appreciate what you do. I've become pretty good at "short". Not just short stories, very very short stories. When I begin writing, because I have trained myself in flash, which means the process as well as the end product, I already have in mind that I will finish, will wrap up in this session. After 20 minutes, I will have a complete story in under 500 words. This kind of writing trains you not to send out tendrils of plot in directions that you don't want to go in. It trains you to start closing in almost as you begin to open. There are few characters, there are no digressessions. This doesn't mean - as I wrote in my essay on flash writing for the Salt Guide to Writing the Short Story, which Vanessa Gebbie is editing and which is due for publication in August and should be fabulous - that a flash story has no depth, no plot, no description. Great flash somehow does manage to do all that in a tiny space. Just read Vestal Review, Elimae, Wigleaf, Pank magazine for excellent examples of how it's done. But... something longer? I need to re-train myself. It's been two years or so since I've written a "full-length" short story, whatever that really means. I guess, over 2000 words. I'm out of the habit of creating those tendrils, of opening out instead of closing in. And I'd like to get that back. I'd like to be able to do that, because I miss the process of writing something longer - writing a section at a time, stopping, knowing not to push it, knowing that the next section will come when it is ready, in hours, days or weeks. Trusting that your character will tell you what happens next. Revising. Reworking. Thinking about structure. After all the agent talk, I was inspired by a writing friend's comment (thank you, Joel!) to think about whether I might be able to go for 50,000 words instead of 500. I don't want to use the word "novel", because to me that implies something about one main arc of narrative, one large plot, and I don't right now have that kind of thing bubbling up in me. But a book-length work that is not separate stories? Some kind of set of pieces that connect, that overlap? Not stories that are forced to link, but something written as a non-traditional kind of longer work. Why not? I can still champion the short story even if I write long, right? There is something I've been working on, a character I am intrigued by that I have been "following around", for the purposes, so I thought til a few days ago, of writing a screenplay. I can't write a screenplay from scratch, I don't plot. So I thought I'd get to know my character in a way I do know how to do, and find out what happens. But turns out that I rather like what is happening, the tone of the narrator that has turned up, the meanderings, and we are 2500 words in.... Now, the idea of a novel about my character is very very daunting. But somehow Joel's comment made me see how I can send out tendrils, expanding it story-wise without losing what I love about the short story: nothing unnecessary, no padding. I started some of that wandering off the path this morning, and wrote 307 words. For me - that's a lot! To write 307 new words without finishing something. So, a while to go from 2800 to 50,000. But the door has been opened, the possibilities are there. I'm still floating, still grinning to myself, scaring the cats, still wondering what on earth this all means, how to integrate it into my life. I have asked some trusted advisers for their advice, regarding an agent for example. This makes me more attractive, right? (In publishing-speak only!). Even if I am that dreaded short-story-writer-no-not-planning-to-write-a-novel! But I would like to have an agent, someone interested in my writing, someone nudging me a little every now and then, someone who knows what the next steps might be. There is so much here that is a mystery to me. When I tell people I studied physics, they look at me with wonder, as if it is another planet whose language is known only to the select few. Well, I feel that way about the publishing industry: I don't know the culture, don't know the signs and symbols. A great agent is a translator, explaining what certain gestures mean, what the words and phrases stand for. I would be very happy to have that in my life. Will keep you updated. Update: OK, that was quick, the universe works in scary ways: just got a message from my lovely publisher, Jen, that an "agent scout" has been in touch to ask for my book. Exciting! Something about "if she writes a novel...". Ah yes. No comment! Extended to April 30th: Short FICTION Third Annual New Writer competition: Prize is £300 plus publication in Issue 3 of Short FICTION (due out September 2009). Writers without fiction book publication (of novel or short stories) are eligible. Entries must be of previously unpublished work (in magazine or online). Submitted stories must be under 5000 words. There is no theme restriction. May 11th: Commonwealth Short Short Story competition: Commonwealth citizens only. No entry fee, up to 3 entries, 600 words. Prize is £2000 for the overall winner, and £500 each for regional winners. I can personally recommend this competition (!). Free entry!! April 15th: Etchings: Theme: From Dusk til Dawn. Fiction, personal & creative essays, poetry, art, and photography for issues 7 and 8. Payment AU$75. May 31st: Going Down Swinging: Poetry, short fiction or non-fiction, flash, comic art, graphic art. GDS pays contributors AUS $75 per short poem / comic or graphic art; $100 per short story / poem / comic over 4 pages. These fees are subject to funding, and may change without notice. And thanks to Tom for this, in honour of National Poetry month. Love it. Now that I am not shaking anymore, just grinning so hard my jaw aches, I am happy to report that today's fab news seems to have had a direct impact on sales: my Amazon UK ranking, which had been plummeting steadily, jumped from 197,000 this morning to 10,150, number 77 in the Bestselling story collections list (that dastardly clock radio is off the charts, ha!). So, in conclusion, these awards do something. Something shifted. Very very nice, although nothing beats those judges' remarks. I am off to grin privately at my cats. It's bound to scare them. 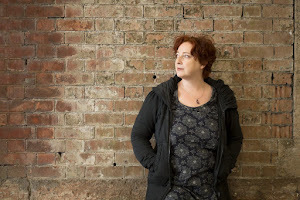 She continues," We would also like to commend two other authors, Tania Hershman and CE Morgan, whose work stood out for its remarkable quality. We look forward to seeing more of their writing in the future." And now my heart is beating wildly, I am trembling. And I can't write. Nope. Can't write right now. Not at all. I may have to go shopping instead. If I can breathe. Feeling a bit sick. Oops. PS Yes, everything's backwards today, but massive congratulations to the shortlist! Are you all breathing right now? Addendum: Now I have had time to gather my thoughts, I see that I am the only short story writer among novelists here, and the only small-press-published author, so a lovely boost for short stories and small presses, yay! How great is it when a friend gives you a copy of a book they love and want you to read? This morning I was delighted to receive Welding with Children by Tim Gautreaux, sent by my friend Lisa in the US. I had sent her a signed copy of The White Road & Other Stories, and instead of payment asked if she'd send me a book she loves. This is what she chose. I'd read the title story a few years ago in a short story workshop and been blown away. I am so thrilled to have the book! I get sent review copies all the time, I occasionally buy short story collections myself, but to have a recommendation turn up in my mailbox is the ultimate pleasure. I will savour it - I have a lot of reading time on my hands now, J has just gone away and I'll be alone for the better (or worse) part of two months. I am open to any other amusements... Of course, I could just get down to some serious writing (should writing be that serious)? There is always the fantasy that if I could be with my characters without mental interruption 24/7, I'd write the magum opus. Right now I am writing poetry, very very short poems, or what I think might be poems. The opposite of quantity. We will see what happens as the time ticks by. JD Salinger still isn't talking. The famously reclusive author wasn't persuaded to break his silence by a reporter from the Spectator, who made it as far as Salinger's doorstep in Cornish, New Hampshire before being turned away. The journalist, Tom Leonard, said he heard the author shout "something that sounds like 'Oh, no!'" when told by his wife who was ringing his doorbell, and then saw "a tall but stooped figure in a blue tanktop" sidle "crab-like" out of his kitchen without meeting his eyes. It's hardly surprising: Salinger withdrew from public life in the 1950s, overwhelmed by the success of The Catcher in the Rye, and hasn't spoken to the media since, apart from a brief conversation with a New York Times reporter in 1974 when he said there was "a marvellous peace in not publishing ... I'm known as a strange, aloof kind of man. But all I'm trying to do is protect myself and my work." No new fiction has appeared from Salinger since the novella Hapworth 16, 1924 was published in 1965; although he is thought to have stacks of manuscripts in his New Hampshire home, his published works amount to short stories, including the 1961 novella Franny and Zooey, and 1953's Nine Stories as well as his single iconic novel. "I like to write. I love to write. But I write just for myself and my own pleasure," he said in 1974. This is taking to the extreme the feeling that I have had and I know others have too: that when you have a book, even though one that is nothing like as successful as Catcher in the Rye, nowhere near, you are suddenly exposed to the public in a way that I hadn't imagined and hadn't desired. And that can cause problems. I am glad to say that I seem to have cured the anxiety and agoraphobia that have been making my life pretty difficult for the past few months, using a technique called EFT. I was getting quite desperate, I tried it, and there was an instant shift. Two days later, and it seems to have stayed. I don't know how it worked, why it worked, but it did. The world, which has been in black-and-white, or mostly grey, since December, is now in full technicolour. I feel blessed. I know that soon I'll be taking it for granted, but right now I am basking in the joy of spring! I love physics. You say "physics" to me and I get a thrill. It's not that I want to do physics - I tried that, it didn't work. But I think the endeavour of physicists is magical, they are asking the biggest "What if...?" questions in the universe, of the universe: "What if 90% of the universe was made of stuff we can't see?" (dark matter). "What if fundamentally we are all made of tiny vibrating strings?" (string theory). Physicists are creative, imaginative, seeing the world in ways no-one else has seen it before, and dreaming up experiments to test their theories. Thrilling! So when I heard that someone called Sue Guiney was writing a novel with a main character who was a physicist (and who might just resemble John Cusack), I couldn't wait to read it. Novels I'd read with scientists in the title role had generally been written by scientists, who are not necessarily writers. Let's leave it at that. The ultimate book of "science-inspired fiction" for me is Einstein's Dreams, by Alan Lightman, who is a scientist, a collection of beautiful and moving fictions imagining what Einstein might have dreamed about while coming up with his theory of relativity. Sue Guiney, an American poet, playwright and novelist living in London now for almost twenty years, has done what I've been waiting for , combining science and fiction, integrate physics into her writing smoothly and effortless, so that it is a part of the plot and not a "gimmick" in any way. John, the 40-something single physicist, tells half the story, alternating with his late mother, Grace. The two stories, the two people, are entangled in a similar way to the idea of "quantum entanglement", which, very simplistically, says that a pair of particles are split apart are still related, can still have an effect on each other over a distance. And, in John and Grace's case, over time as well as space. Tangled Roots (published by Bluechrome and now out in paperback) is a very fitting title. This wonderful book, which reveals more layers with each reading, deals with so many themes and topics: parenthood, childhood, tragedy, disappointment, depression, infidelity, the question of happiness, and the nature of reality itself. I'm delighted to be the Middle East stop on Sue's Space-Time Virtual Book Tour. Welcome, Sue! Here is my first question: John is a wonderful and well-rounded character, a physicist and a man. You step into his shoes and into his head, showing us how physics informs his view of the world as well as his work. How did you, a non-scientist, do this? To be honest, I haven’t spent a great deal of time around scientists, but I’ve always had a vague notion of what it might be like to have a mind filled with numbers rather than words. The first step in my research was (very luckily) to be able to take out to dinner a rather remarkable, insightful, brilliant and maverick young physicist called Joao Magueijo, who wrote a booked called “Faster than the Speed of Light.” He allowed me to probe into his world for several hours which was incredibly helpful. But after that, and after reading and re-reading a great deal of “physics for laymen” texts by people like Brian Greene, Richard Feynman and Stephen Hawking, my imagination was able to take over and the personality of John became more and more real to me. But that’s one of the wonders of doing this sort of writing, isn’t it? These moments of insight, of “metaphorical clarity”, just happen, somehow coalescing from the myriad of images, thoughts, ideas that jumble around in your head. It’s the magic of it, really, I think! I have read Faster Than the Speed of Light, in which Magueijo discusses his pretty controversial theory and is not too polite about academia. Did you pick him because he was quite controversial? Is he (as well as John Cusack!) a model for John? And what did you learn about the way a physicist thinks, the way they see the world, from talking to Joao? In a word, yes— I did pick him because he was controversial and because I had an inkling he might be open-minded enough to talk honestly to an unknown novelist about his work and his world (and also because he lives in London!). But I don’t think the character of John is based on Joao. I don’t know Joao nearly well enough to make such a presumption. But he was able to tell me everything from the most banal facts about how many students he teaches, how long are his lectures, what are these professional conferences like, to the more interesting ideas such as what it is like to see the world via numbers rather than words, what are some of the problems with string theory as it stands and what are some important areas of future research, the importance of computers in his work, a scientist’s approach to questions of religion and spirituality. How does a scientist react to ideas that can not be proven? What does “proof” mean anyway? Plus, he led me to further reading, and filled me in on what research is happening Russia, the Lebdev Institue, Moscow University etc and so helped me plot out my research trip to Moscow. He then was also kind enough to flip through a draft to see whether any of the science was terribly off. Once he saw that the science was used mainly metaphorically, he said he got the picture and thought it would be fine. So, his help was really invaluable. That is so interesting! You are obviously a person who soaks up new knowledge, curious about the world, as are so many writers. It must have been fascinating to look at the world through both your characters' eyes, a man and a woman, a single physicist and a woman dealing with motherhood and marital issues. I feel I learn from my characters whenever I write a story, that I certainly don't "write what I know". What did you learn from your characters? Now this is a hard one, not because I didn’t (or don’t) learn, but because I don’t know where to start. By inhabiting the mind of a scientist, I learned about a new world. I grew to recognize the beauty of numbers and see that mathematics is actually just another language — and I have always been a bit math phobic. Also, as a mother, I would have ordinarily found it difficult to understand how a mother can emotionally detach herself from her children. But Grace opened my eyes to the origins and consequences of depression and to the way that love can be expressed and experienced in many different and surprising ways. If you could ask someone who has read your book one question, what would it be? And if you had the chance to ask an author whose book you loved one question, what would that be? Again, terrific though difficult! From the reader, I suppose I might want to know which specific event described was the most moving. On an emotional level, there are certain chapters that were especially difficult for me to write, but these may not be what readers felt moved by. I’d be interested to know how a reader reacts to the most intensely emotionally or psychologically difficult episodes, but I suspect each reader may have his/her own specific answer. And I suppose that’s a good thing! And for the author: I’d love to go back to Victorian times and have a good old chin wag with Anthony Trollope. I have loved his books — especially the Barchester ones — he has a way of inhabiting the voices of his characters while still retaining his own avuncular narrative tone. I believe every word his narrator says. As someone who finds herself, even against her own wishes, continually writing in 1st person, I’d love to know how he does that. Not to mention, how he found the energy to work such a time-consuming job and write something like 47 novels! And now, I’d love to have you take me to your favourite Jerusalem tea shop, maybe for a bit of halvah as well, or even.....a rum baba. I’ve been thinking about those since I had them when I was 18 in Natanya. I’ve never found anything like it anywhere else! Sue and I are off for a slice of halvah and a cup of mint tea. Feel free to ask questions and we'll pop back later to check in. Visit Sue's blog to find out more about the Space-Time virtual book tour. For more about science-inspired fiction, visit the Fiction and Science page of my website. One of the things that helps me when I am feeling anxious*, as I seem to be a lot these days, is reading. Reading fiction, or non-fiction, immersing myself in someone else's world. And the effect lasts after I stop reading, it is most definitely a calmative, so I thought I would bring you a couple of things I have been enjoying reading lately. Shaindel is currently doing a virtual book tour, On the Hood of a Cutlass. The interviews are fascinating, illuminating. Check it out. Ink, sweat and years is the online poetryand prose journal Ink, Sweat and Tears' first annual print anthology and I am delighted to be included with my first ever poem. Apart from that, it's a wonderful read, with excellent contributions from my writer colleagues Frances Gapper, Sarah Hilary, Alex Keegan and Nuala Ní Chonchúir. Alex Irvine's story, The Truth About Ninjas, in Barrelhouse's latest issue, issue 7, with its eye-catching red and black cover, just blew me away - both utterly mad and completely sane, a philosophical treatise. With ninjas. Brilliant! Pank magazine's annual print edition, Pank No.3, looks so gorgeous, it's a little hard not to be dazzled, but the writing is just as dazzling. A combination of poetry and prose, it includes such gems as Ten Things I've Told People About Daschunds Sure They Cared, by Cristin O'Keefe Aptowicz and Because Magicicadas Have No Eyes by Rosanne Griffiths. I have only just started reading it, am restraining myself so I can savour it slowly. Thirty Years of Prosperity for Every Fifteen Years of Hard Work by Matthew Derby was published in Columbia: A Journal of Literature and Art, Issue 45, which arrived in my mailbox a few weeks ago, along with issue 46, a bonus for entering (and definitely not winning) their short story contest! I had never read the Columbia journal before, but when I saw that the contest was being judged by Diane Williams, whose collection, Excitability, I am reading and loving its experimental and often surreal prose, I knew this mag was for me. Matthew's story bore that out, both odd and poignant, or perhaps oddly poignant. Once again, am trying to read these slowly... so much to read, so little time. I have been dipping my toes into the waters of science fiction and fantasy with a subscription to Interzone, the UK's SF&F magazine, and have found a lot to love in the issues I've received so far. A story that stands out from the April 2009 issue is A Clown Escapes from Circus Town by Will McIntosh, which once again challenged my shameful preconceptions about what SF&F is. Moving, surprisng, and highly imaginative. This is just great writing, no matter what genre shelf it is shoved onto. On the non-fiction front, Slightly Foxed arrived this week, what an interesting journal. It is comprised of articles which are sort of book reviews, but are actually much more than that. Slightly Foxed is, in their own words: "a rather unusual kind of book review, informal and independent-minded, and its readers tend to be independent-minded too –people who don’t want to read only what the big publishers are hyping and the newspapers are reviewing. Each issue contains 96 pages of personal recommendations for books of lasting interest, old and new, both fiction and non-fiction – books that have inspired, amused, and sometimes even changed the lives of the people who write about them." I am really enjoying it. And finally - tomorrow I have the honour of hosting Sue Guiney's Space-Time Virtual Book Tour to celebrate the paperback release of her excellent novel Tangled Roots, which gets better every time I read it. We will be talking physics, physicists, fiction and what we can learn from the characters we create. Prepare your questions please, and come back same time tomorrow. Thank you. *If you are a writer and anxiety is something you are familiar with, there is a new private Facebook group for people like us to discuss it. Message me through FB for more info.